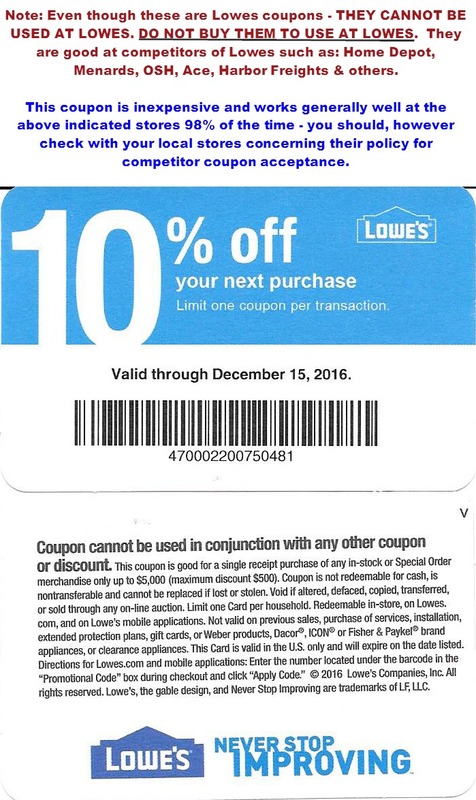 These 10% OFF Lowe's coupon cards will allow you to save at Home Depot, Menard's or any other competitor that accepts competitor coupons! 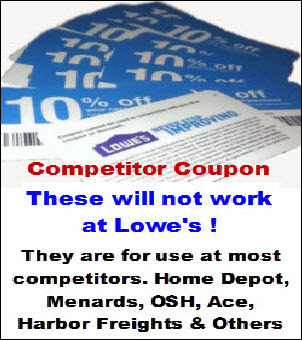 The coupons have been used at Lowes.com so they are NOT VALID at Lowes either online or in the store. 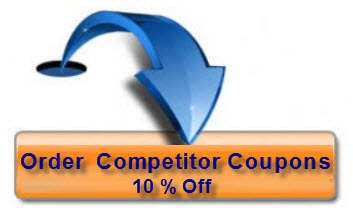 They are only valid at a competitor store and can only be used at stores such as: Home Depot, Menard's or any other store that accepts competitor coupons. on up to a $5,000 purchase. Next - at the checkout - make sure you look at the quantity you are ordering. In almost evey case you would probably want this set to "1". The only reason to have more is if you are ordering more than "20".